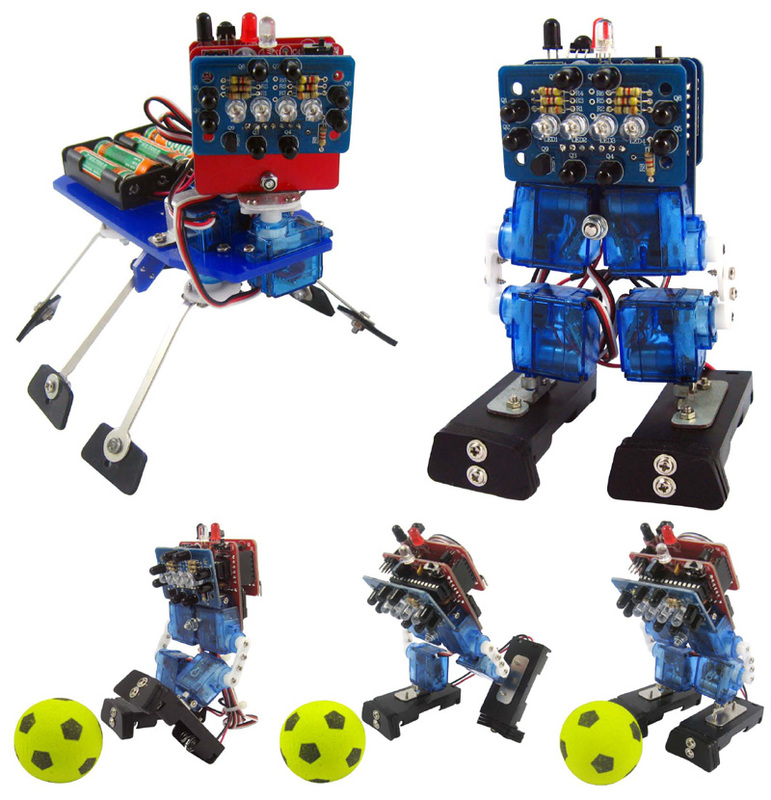 The Dagu Mini Robots Kit is a complete robot kit with everything required to build, program and control your robots. The kit contains parts and instructions to build one of two completely different robot designs. No soldering required - all PCB's factory tested. Designed specifically for beginners and younger students this kit will teach all the basic skills needed for making and programming robots. Infra-red compound eye for detecting objects and tracking motion. 4 x miniature servos for complex walking motions. Universal TV remote supplied for remote control. 2 programmable LEDs and a speaker to give you feedback from the robot. Universal remote control. Also control many brands of home entertainment devices. NOTE: Batteries are not included. Use NiMh or NiCd batteries only. Do not use alkaline batteries!